This post is originally published on VITAMIN W. It is cross-posted with permission. Former winners Zadie Smith and Barbara Kingsolver are among this year’s finalists in the Women’s Prize, formally known as the Orange Prize. Last year, the prize lost its original sponsorship. But Cherie Blair, entrepreneur Martha Lane Fox and novelist Joanna Trollope were among the many private donors who stepped in to save the U.K.‘s only prize for women. The relevance was clear: women writers do matter. This week also saw the first annual Stella Prize, a new literary award given to Australian female authors. That prize has been mostly funded for the next three years by philanthropist Ellen Koshland, a granddaughter of jeans mogul Levi Strauss. What’s even more surprising, winner Carrie Tiffany’s called her fellow nominees to the stage and announced she would donate $10,000 of the $50,000 prize to the other shortlisted authors–adding to the growing number of women raising the profile of women writers. Controversy has surrounded the relevance of literary prizes aimed at women, but while there is no shortage of books written by women worldwide, the numbers are low when it comes to the attention these books deserve. One example: of the 108 Nobel Prizes awarded in Literature, only 12 have been awarded to women. 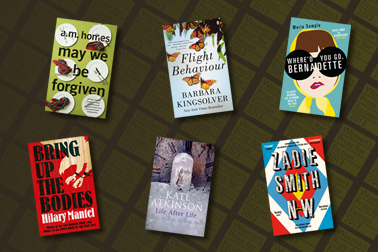 The Women’s Prize Google Plus Page will feature a conversation April 19 with Women’s Prize co-founder and bestselling author Kate Mosse discussing each of this year’s shortlisted books with the 2013 judges. The winner will be announced June 5. ← How are children supposed to know about boundaries and consent when there are mixed signals everywhere?